A little late to the party with this week’s list opener. In January an article written by Timothy D. May called “No Country for Young Men,” came up on Foreign Policy. The following is an except on a piece that examines members of the ‘Lost Boys’ thoughts on the new South Sudan and the recurring violence. What was really interesting was that Peter Magai Bul, a ‘lost boy’ and coordinator of Hope of Sudan Alliance, spoke of a distinction that sets them apart from other members of the diaspora: they traveled together and are bound as a group. On the Ground in Congo’s Rebellion, a photo essay from Politico Magazine, provides a look into the Democratic Republic of Congo, and the violence that has ensued the country since the M23 rebel group mutinied against the government in April 2012. 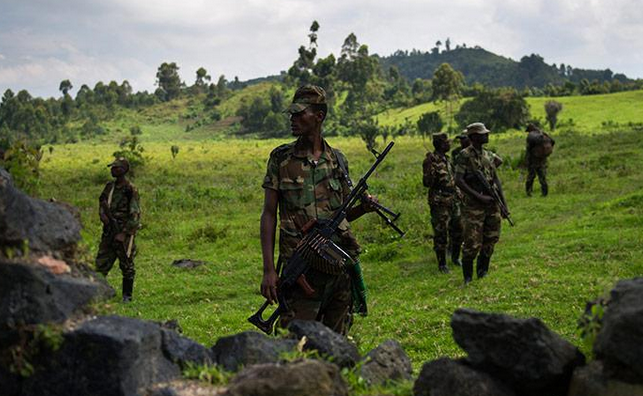 In September 2012, a Human Rights Watch report accused the M23 of “widespread war crimes, including summary executions, rapes, and forced recruitment.” These acts of violence and human rights violations led to the displacement of more than 2 million Congolese. Now the Congo, Africa’s second largest country, is struggling to obtain peace and stability from a rebellion responsible for the deaths of millions of its people. There’s been a lot of grumbling about the disagreements between Kerry and the Obama Admin. about what the US should do in Egypt. It’s encouraging that Mr. Kerry seems to be connecting a resumption of aid to tangible“reforms” in Egypt. But those words were at odds with his assurance that he would be able to move forward “in the days ahead . . .I mean short term.” A meaningful response on the items he mentioned would require a radical — and most unlikely — change of course by the Sissi regime, which, far from pursuing “inclusivity,” has been seeking to destroy Egypt’s largest Islamic movement, the Muslim Brotherhood, while imprisoning the secular leaders of the January 2011 revolution against the previous military-backed autocracy. Kerry’s remarks are likely to please Egypt’s new army-backed administration, who argue that the Brotherhood’s removal was necessary to prevent the country falling into the hands of religious extremists, and who are increasingly frustrated at the west’s lukewarm reaction to both Morsi’s removal and the subsequent brutal suppression of his supporters. But Kerry’s position will naturally infuriate Morsi’s supporters, many of whom took part in Mubarak’s 2011 overthrow alongside the liberal youth Kerry mentioned in his speech. Kerry’s words may also frustrate White House officials, who want Kerry to take a firmer stance against Egypt’s current administration, according to recent reports. Egypt’s new cabinet has been accused of being just as illiberal as Morsi’s and Mubarak’s governments, drafting new legislation that would obstruct the right to protest and the freedom of association. 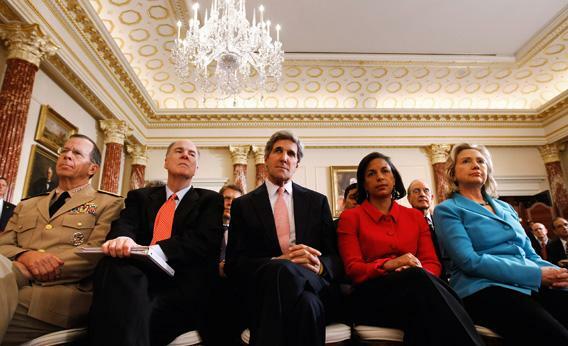 Two other administration officials confirmed the Kerry-Rice rift over Egypt. The secretary and national security adviser’s disagreement about how to handle the tumultuous and troubled U.S.-Egypt relationship is only the latest example of how the White House has steered America’s approach to Egypt in a way that conflicts with the views and desires of the State Department and the Pentagon, said the two officials. The president’s goal, said Ms. Rice, who discussed the review for the first time in an interview last week, is to avoid having events in the Middle East swallow his foreign policy agenda, as it had those of presidents before him. Not only does the new approach have little in common with the “freedom agenda” of George W. Bush, but it is also a scaling back of the more expansive American role that Mr. Obama himself articulated two years ago, before the Arab Spring mutated into sectarian violence, extremism and brutal repression. 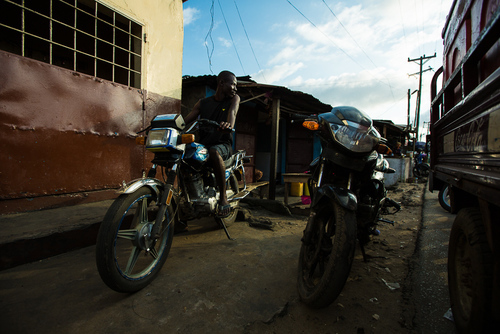 A fellow GPIAer Aaron Leaf spent break doing thesis research in Monrovia, the capital of Liberia. Check out a sample from his blog reposted in The New Context. It was an old joke to talk about the “motorbike wing” of JFK hospital. Police claimed there were over 1,000 motorbike casualties last October alone. Then in November, a school bus accident killed a rider resulting in the bus getting burnt in retaliation. This was the last straw. Now bikes are banned completely from the city center. This has crippled many people’s commutes but also made the center of town less chaotic and a lot quieter. 5) Favorite: World Water Day! Saturday is World Water Day, it’s a day in which people can raise awareness of massive disparities that exist in access to water. Here are some resources and articles that talk about access issues. The failure of private water is a daily challenge for many in urban SSA. With state-sponsored privatization doing little for squatter communities, illegal small-scale private water providers, such as water vendors, provide 50 percent of urban Africa with its water. In Kibera, women and children spend one to four hours a day locating a water vendor, waiting in line, and carrying the water home. 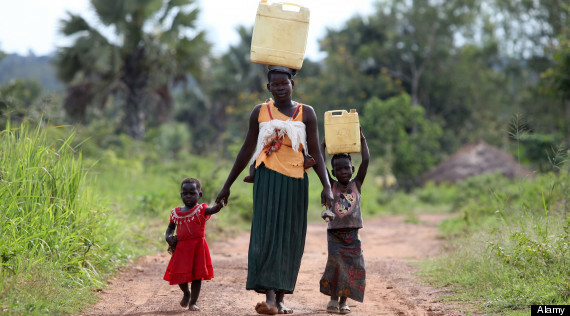 When there is a shortage, women can spend all day looking for water. “The region has made significant strides in two decades in developing its water usage and storage capacities, but there is still much work to be done to improve water efficiency in agriculture, protect water quality, and address challenges related to climate change,” said Abdessalam Ould Ahmed, FAO Assistant Director-General and Regional Representative for the Near East and North Africa. FAO noted in a news release that per capita fresh water availability in the region has plummeted by two-thirds over the past 40 years, heightening concerns over the degradation of water quality and the impact of climate change. In case you still need more The Guardian also posted an article titled “How to teach … World Water Day,” check it out for additional resources and background. That’s it. Thoughts? Comment below!